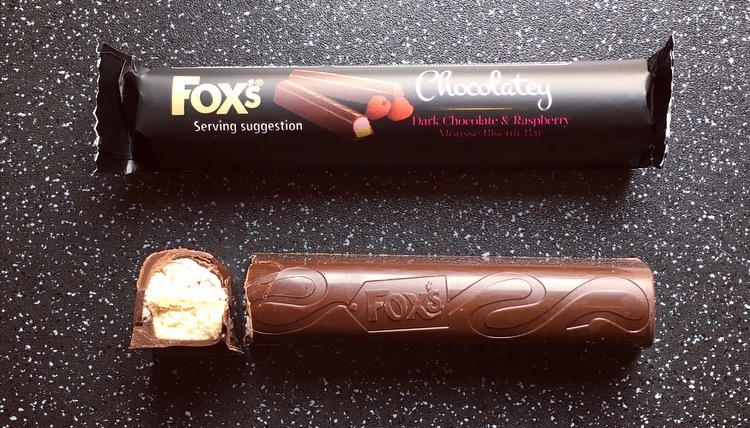 Since the very lack lustre Red Velvet Crunch Creams, Fox’s have released a new range of Chocolatey Bars filled with flavoured mousse. Designed to be an on the go snack and portion controled, each pack has 5 individually wrapped biscuit bars. 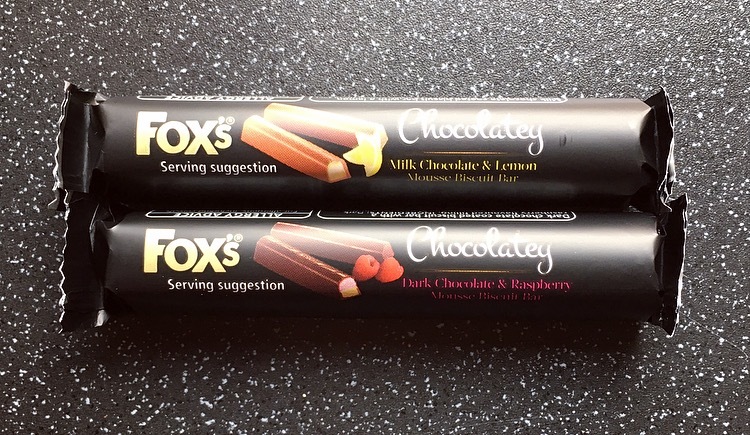 Enter today’s review of Fox’s Chocolatey Mousse Bars in Lemon and Raspberry. 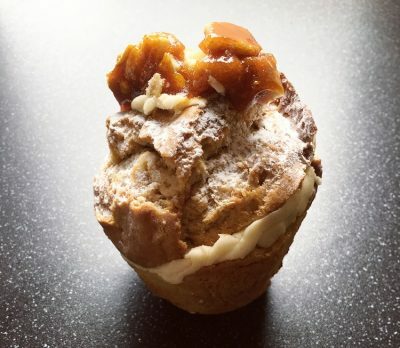 Judging from the picture on the front the serving suggestion is just to eat them as it is. Let’s be honest did anyone think that they were going to eat them any other way? The lemony smell is instant upon opening and I couldn’t wait to tuck in. The milk chocolate is creamy and pleasant, the biscuit crunchy and crumbly, and the mousse smooth and airy. As for the lemon flavouring it is authentic, zesty, light and darn delicious. Given I am a bit fussy with lemon flavoured things, I am pleasantly surprised by how much I like this bar. The smell was a little harder to identify with this one. It smelt familiar but I couldn’t put my finger on it being raspberry had I not read it on the packet. The chocolate was dark with a slight bitter taste which counteracted nicely with the mousse filling. The mousse was sweet, fruity and fresh and was the lingering taste once I had eaten the bar. The only thing with the mousse was that again I knew it was fruity but it wasn’t obvious that it was raspberry, it was just fruity. The biscuit layer was chunky, crunchy and seemed far more together that the crumbly biscuit with the lemon bar, which I preferred. I can’t say I loved this bar, it’s not a stand out number or one I’d purchase again. I am suitably impressed with these Fox’s Chocolatey Mousse Bars. The Milk Chocolate and Lemon biscuit bar was delicious and is by far my favourite. 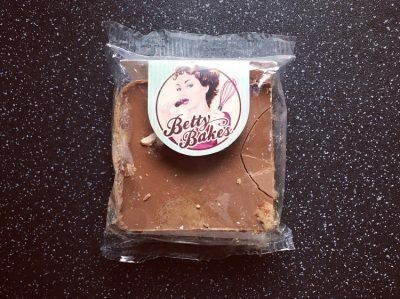 The flavours and the ratio of biscuit to mousse to chocolate was spot on and are a more luxurious on the go snack than your tradition chocolate biscuit bar. Although the Dark Chocolate and Raspberry was nice, the flavours just weren’t as good as the Lemon. 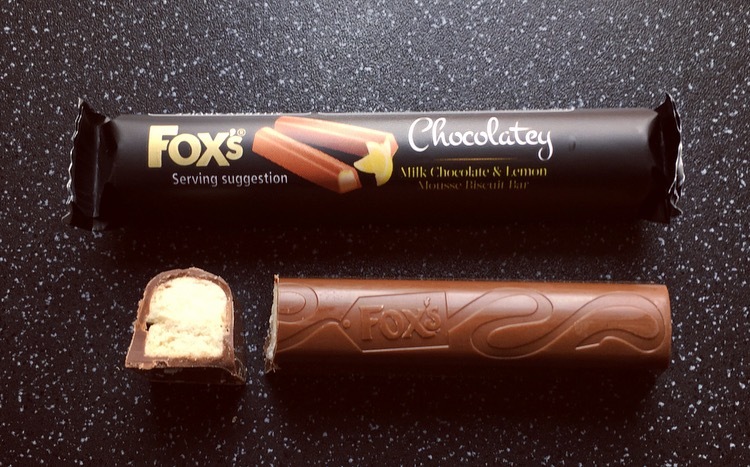 I’m just here noticing the logo on the chocolate is the old Fox’s logo. The packaging has the new logo.